In some ways, it’s hard enough to figure out what’s going on in the world today, let alone glimpsing into the dim corners of ancient history or the penumbra of prehistory. Epigraphers analyze primitive etchings on rock. Geneticists analyze DNA samples from modern Native Americans and the ancient remains of their purported ancestors. Archaeologists pick through the debris of distant eras. To explore extensively all their findings and hypotheses would require hundreds of pages. We will not provide a comprehensive look at all the evidence and will not include every theory. But, we will provide a glimpse at varying expert opinions to show that the case of Native American ancestry is far from closed. 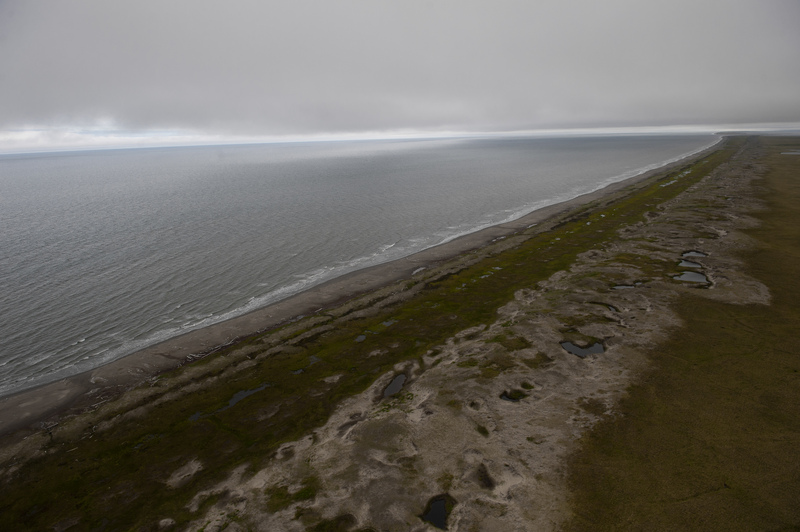 Did a single wave, or perhaps a few waves, of migration populate the Americas, arriving via the Bering Land Bridge that connected Siberia and Alaska during the Pleistocene epoch (which ended about 11,700 years ago)? 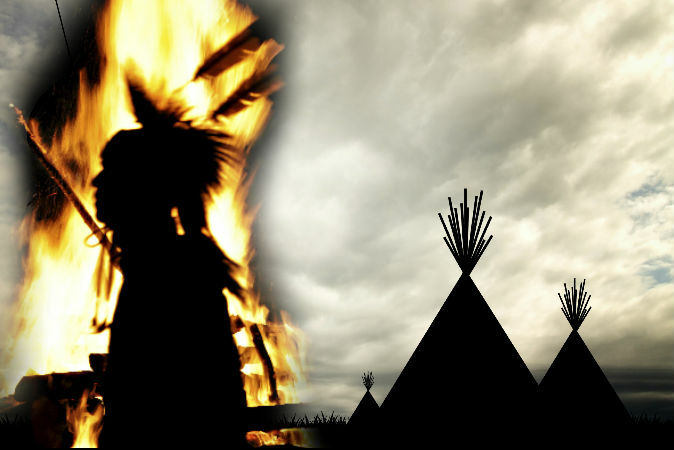 Did the ancient Native Americans remain isolated for thousands of years until the Vikings landed? Or did smaller groups of explorers who haven’t made it into today’s history books slip into the New World throughout the ages? There’s a strong working model … that most Native Americans today extend from a single pulse of expansion south of the ice sheets—and that’s wrong. Reich is the senior author of a study conducted at Harvard showing that Native Americans in the Amazon bear an unexpected genetic connection to indigenous people in Australasia. This suggests a previously unknown wave of migration to the Americas. This study supports a single migration event. A single group migrated to America, then split into two distinct populations—the northern and southern populations. The findings challenge a hypothesis that a second migration crossed the Bering Land Bridge, a hypothesis supported by analyses of skull shapes. Malhi said his study found no genetic evidence to support more than one migration. Malhi said his study found no genetic evidence to support more than one migration. 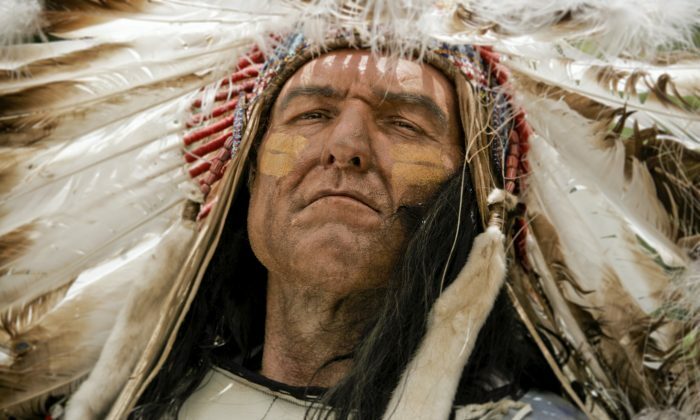 Dr. Donald Panther-Yates, who is of Cherokee descent, has studied the DNA of Cherokee Native Americans. Yates has a Ph.D. in classical studies and is the founder of the genetics research institution DNA Consultants. He has combined cultural analyses with DNA studies to form a hypothesis that an expedition of Ptolemaic Egyptians and others in the 3rd century B.C. sailed to North America. Today’s Cherokee are descended from these explorers, according to Yates. Theories about such expeditions as those proposed by Yates have often been scoffed at by mainstream scientists, but some prominent scientists have expressed interest. Haplogroup T is not among the haplogroups (genetic population groups) most geneticists recognize as Native American. Yet Yates has found that it is prevalent among the Cherokee and has been for a very long time, indicating Middle Eastern ancestry. He said it cannot be accounted for by modern admixture; it is rooted in the ancient origins of the people. Theories about such expeditions as those proposed by Yates have often been scoffed at by mainstream scientists, but some prominent scientists have expressed interest and have called for further investigation. It’s very clear to me that we are looking at multiple migrations through a very long time period—migrations of many different peoples of many different ethnic origins. The late Harvard biologist turned epigrapher Barry Fell met with much criticism for his analysis of petroglyphs in North America, as he suggested they were left by Celtic and Scandinavian explorers long before the Vikings are thought to have landed. Fell had the cautious support, however, of influential archaeologist David Kelley. Kelley earned fame and prominence for his decipherment of Mayan glyphs. 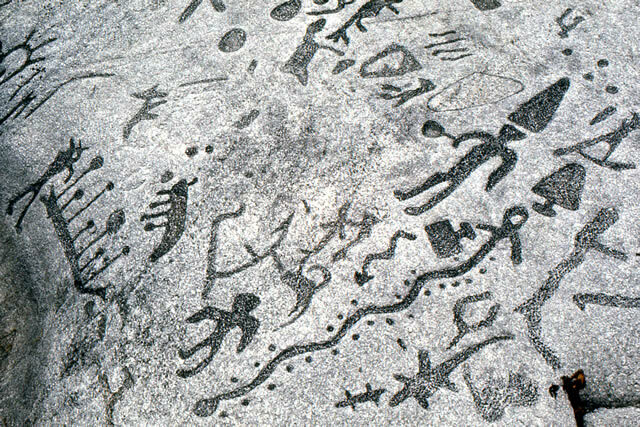 Petroglyphs in Peterborough, Ontario, Canada, thought to be of Native American origin were instead left by a Scandinavian expedition around 1700 B.C., Fell had said. Kelley agreed, though he estimated the petroglyphs instead dated to about 800 B.C. Petroglyphs Left in Canada by Scandinavians 3,000 Years Ago? Recently, educator turned epigrapher Dr. John Ruskamp, has garnered interest in American petroglyphs he has studied that appear to be ancient Chinese script. Though he has been criticized by the Society for American Archaeology, scholars in China have enthusiastically taken notice, as have some American experts (such as David N. Keightley, a leading analyst of Chinese oracle-bone writings; Dr. Michael F. Medrano, chief of the Division of Resource Management for Albuquerque’s Petroglyph National Monument; and anthropologist Stephen C. Jett of the University of California–Davis). Will the history books change? Evidence suggests the Chinese got to America before the Europeans.